As you see from the title of this post, we are going to be covering something very exciting today; a brand new game called ATOMIC AGENCY. As the technical officer here at City Mazes, I have been working on bringing this new game to our Bristol complex and I will be explaining what to expect from this new game! The first thing we always think about when creating a room is “what story are we going to tell?” This is sometimes determined by the theme of the location (for example we have a lot of film based games in our Cardiff complex, such as Jumanji and Titanic) and sometimes it is determined by new technology and props that a game is then based around, and this new game is a combination of the two! In the Bristol complex, the games tend to have a link to the past: be they WWII bunkers or Office blocks due for destruction, so we decided to keep this in mind when creating this new game and set it in the past, but in an era we had not explored before. Then once we were sure of this we started looking at what props and puzzles we might want to use and the rest fell right into place! 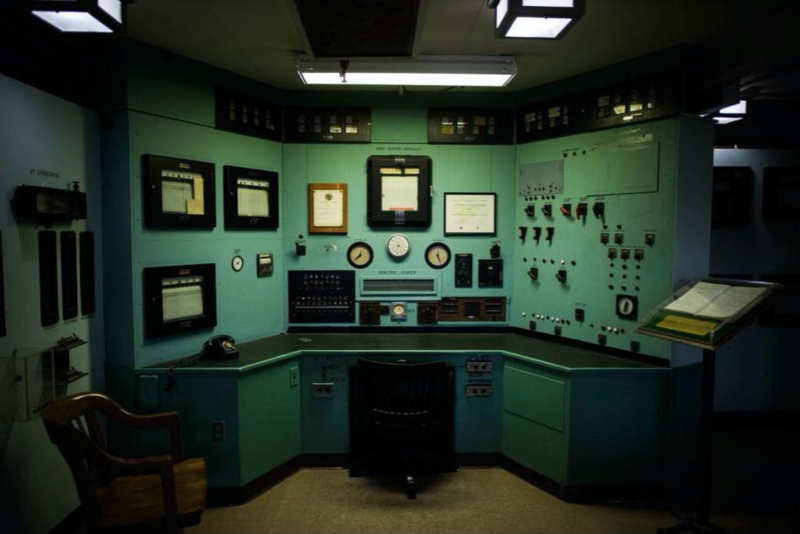 With this game, players will be travelling back to the Cold War, as this game is set in 1961 and you find yourself in a suspicious office somewhere in England where all is not as it seems… As you would imagine from a game called “Atomic Agency” players will be faced with a high stakes situation that will need to be diffused before the time runs out! Players will take on the role of counterintelligence agents trying to uncover a sinister plot that has been taking place right under our noses… Fortunately for you, there is a person on the inside who has left you a few clues that might help to reveal what is really going on at this “agency”. But don’t be fooled by the initial appearance of the office, despite your man on the inside, you’re going to need to bring your A-game as this will be a 3 star difficulty room: even 007 would have a hard time getting out of this one in 60 minutes! This game will be perfect for any James Bond fan or spy enthusiast as puzzles are based around spycraft, subterfuge and decoding! 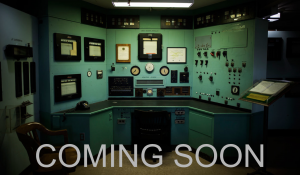 Equally, any escape room enthusiast or even a newcomer looking for a challenge will feel right at home in this room, as it brings together a classic escape room experience integrated with 4th generation tech to give you a fully immersive cold war spy thriller experience! I am very excited to bring this game and story to life for players to experience at City Mazes Bristol (and maybe a few other locations…), as both the story and the technical side of this room will blow you away! Can you save the Wizarding World? What is Augmented and Virtual reality and how are they used in the game?